Modern metal starting blocks for sprinting—complete with offset footrests—first appeared at the 1948 London Olympics. This innovation both reinforced the benefit of a crouching start position and also signaled the end of athletes digging holes for their toes in the dirt to get a solid foundation to push off of. It demonstrated that when something truly new comes along, it can make the old ways immediately obsolescent. After years of hype, but little real change, we are now seeing the truly new arrive in US banking, and it is beginning to make the old business model look obsolete. Accenture research shows that 17 percent of US banking revenue now comes from truly digital banking relationships and that number is increasing quickly. It’s a question more than 80 banking executives in North America explored through dialogue and demonstrations at the recent Banking Growth Forum 2018 jointly hosted by Accenture and our partner, Nomis Solutions. We concluded that a product orientation when it comes to pricing will no longer drive success in the world of truly digital economy. 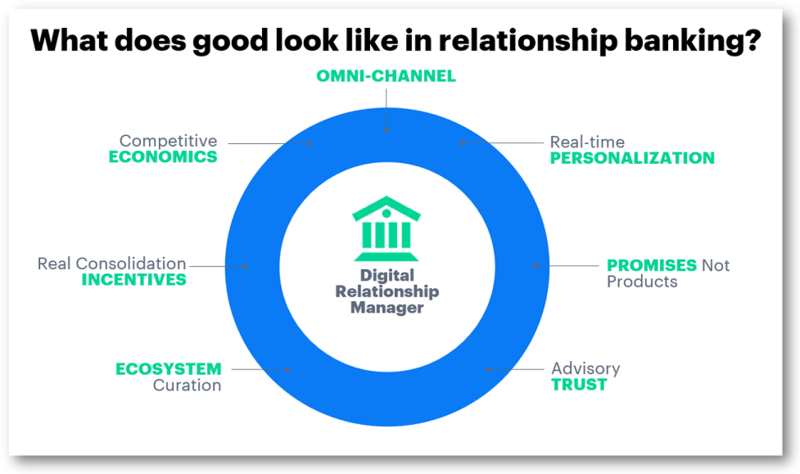 Instead, building and delivering a true digital relationship manager strategy will mean a level of pricing sophistication that is challenging for most banks. The fact is that many banks are culturally and organisationally tethered to product-based pricing, as it fits easily with banks’ traditional internal organisation and allows effective aggregate balance sheet management. Yet, it is also limited when it comes to optimising margins and truly differentiating the customer proposition—two key elements of running a successful digital relationship manager business model. 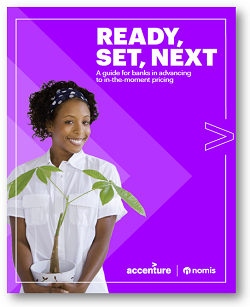 Even in setting simple cross-sell pricing, banks need to utilise a customer profit view to target the retention of their most profitable customers. And while cross-selling usually gives customers some choices like product packages or a rewards wrapper, it is still based on selling products. True relationship pricing on the other hand requires sophisticated lifetime value analysis to shape decisions, drawing on vast stores of customer and transaction data to offer the right product at the right price through the customer’s preferred channel. Rather than products sold, it hinges on promises delivered, backed by accountability, transparency and explainability—a notion that typically runs contrary to the traditional organisational structures of banks. As industry change accelerates, banks will need to offer something genuinely new in their pricing. Those that will thrive will enhance their existing capabilities to advance along the pricing and offer management maturity journey—pivoting from a product focus to a real-time, intelligent, customer-relevant, promise-centered approach. That will be a strong foundation on which banks will be able to sprint forward and remain competitive.